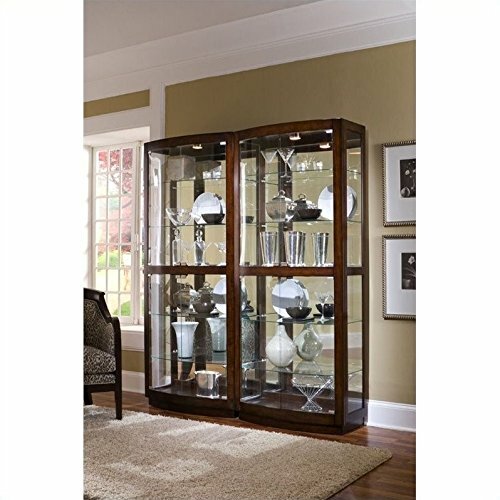 With lighted shelves, this collection will be sure to make your collection sparkle. 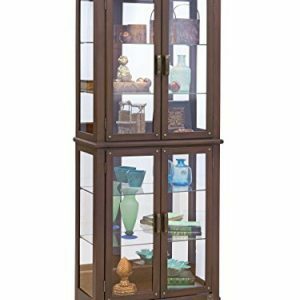 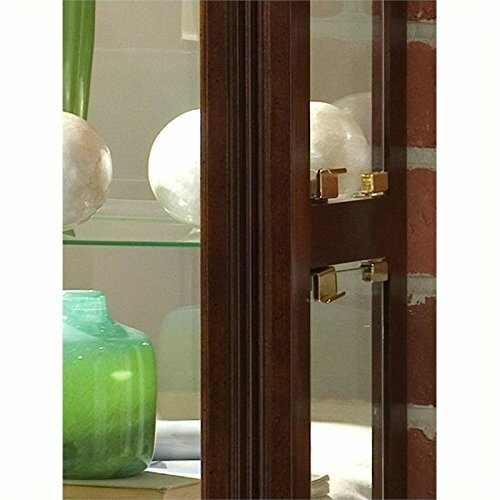 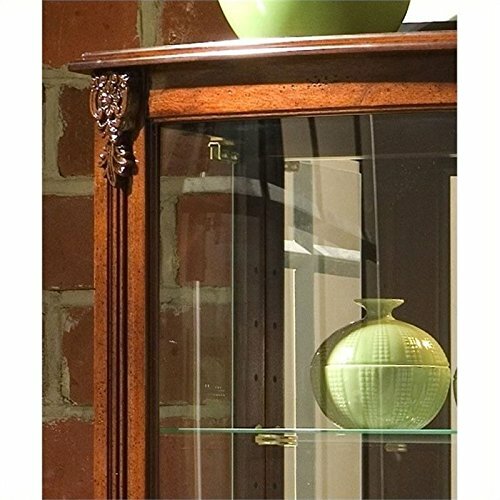 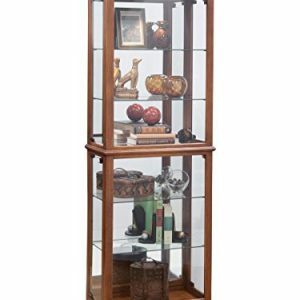 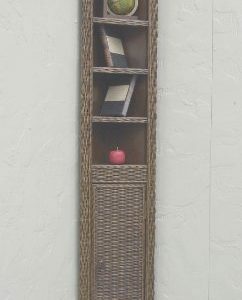 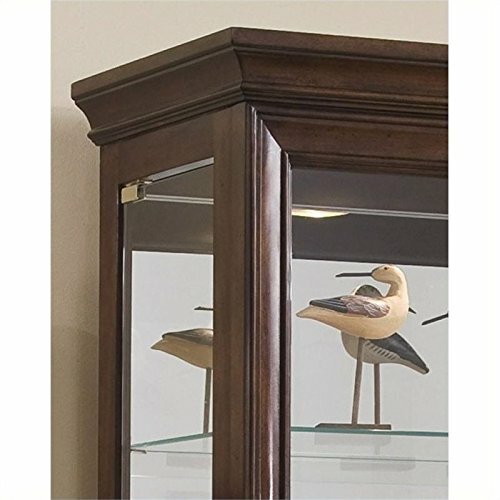 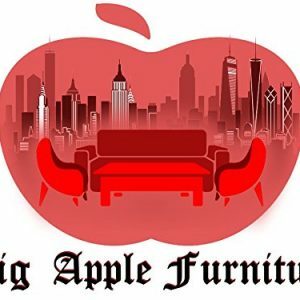 A very practical accent piece to have in your living room, hallway or family room, this curio cabint has decorative detail and design accents that give it a warm, inviting ambiance. 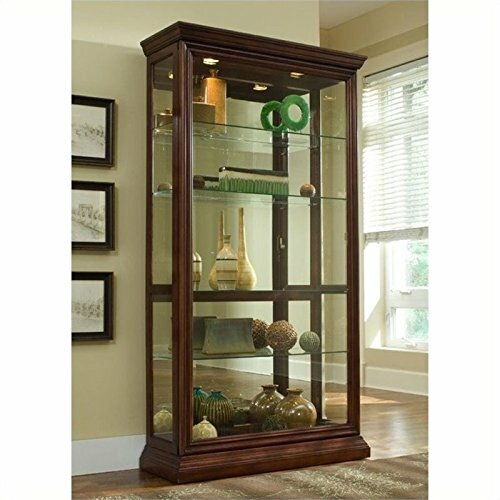 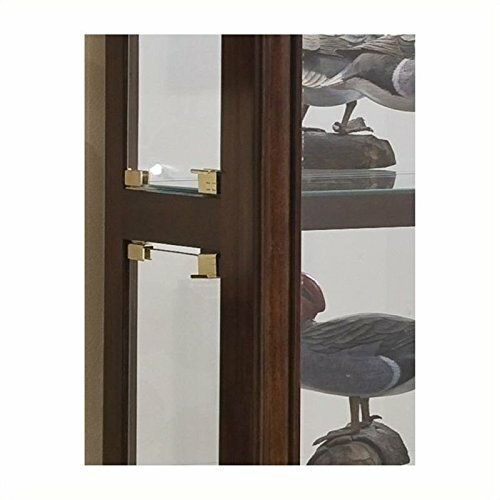 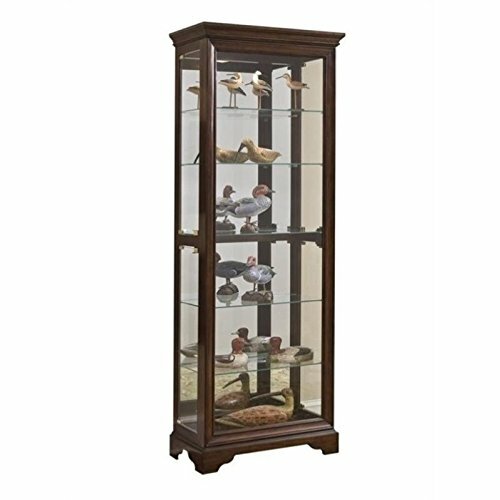 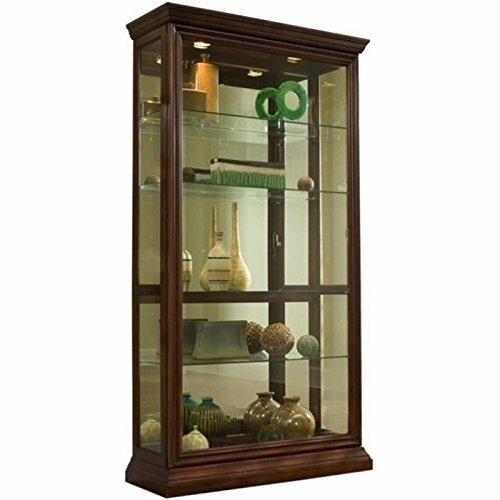 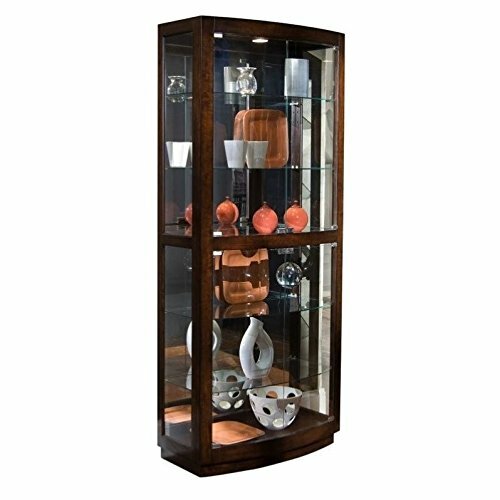 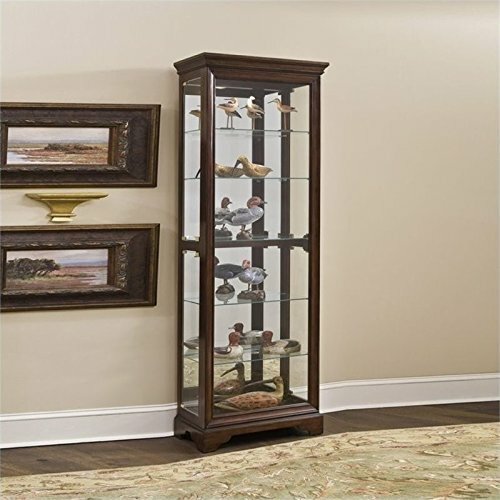 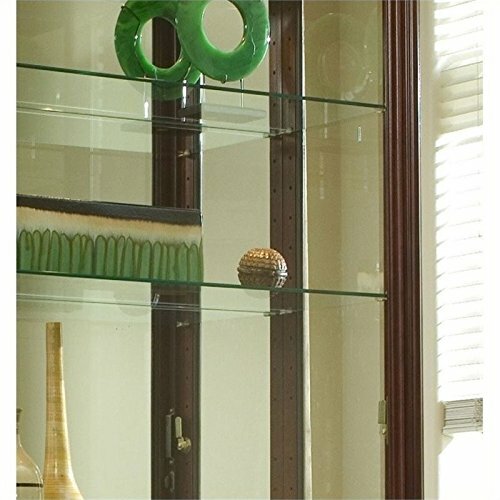 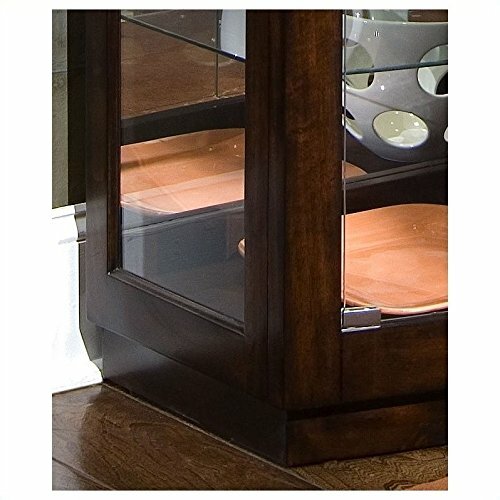 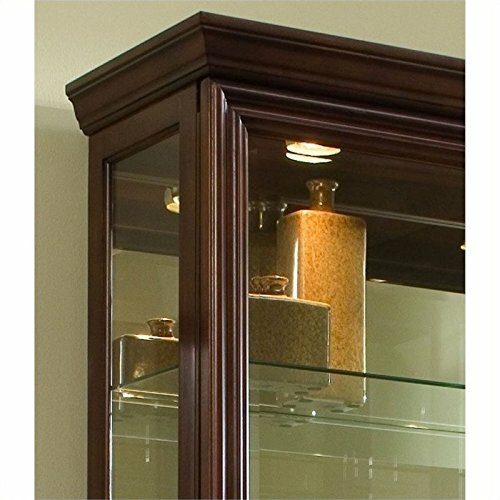 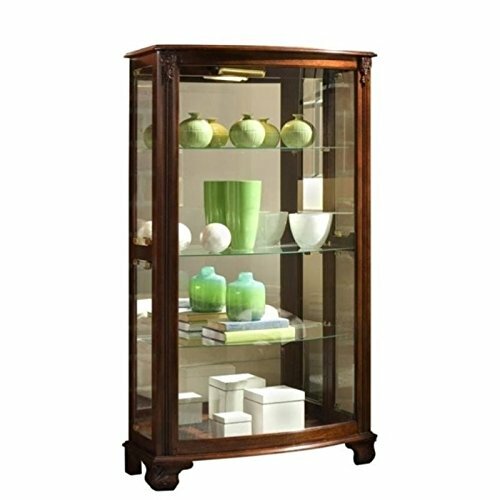 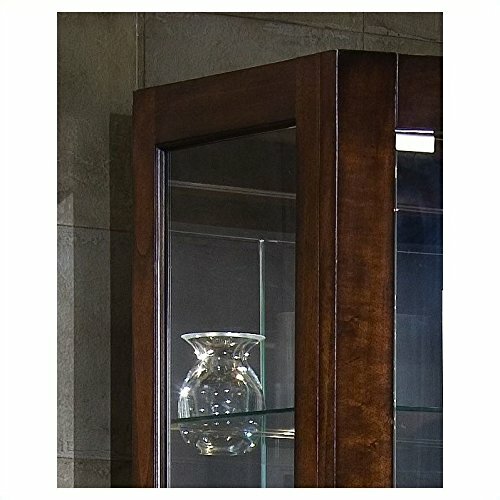 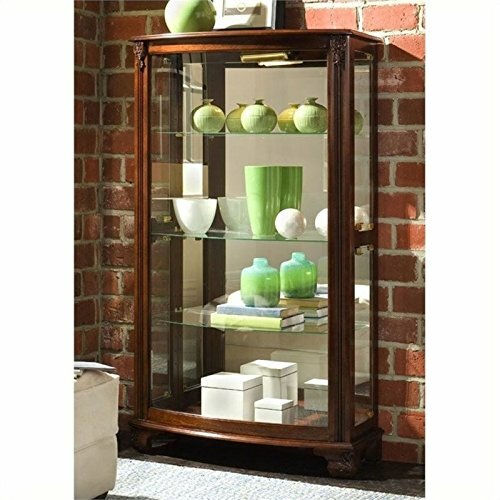 With its picture frame front and glass sides, it will give you plenty of room for perfectly displaying your collection.